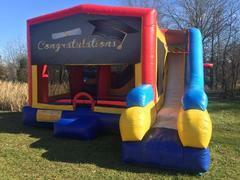 When celebrating those special moments in life this Congratulations2 themed 7in1 Combo Moonbounce is a must have. 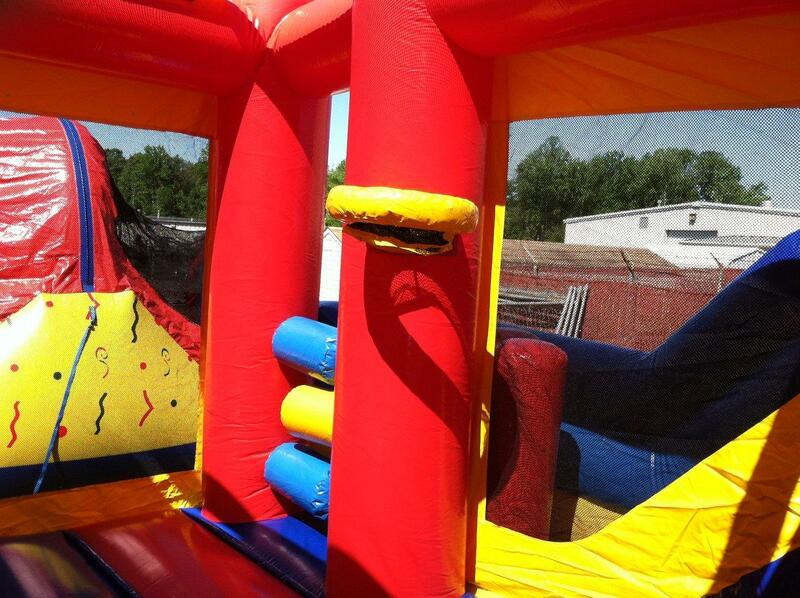 This entertaining bouncy house allows participants to have endless hours of fun with seven different activities. The high-visibility mesh allows spectators to keep an eye on participants. It includes a large interior jumping area, climbing wall, horizontal and vertical pop ups (Obstacle Course), two basketball hoops (Inside and Outside), and a slide.